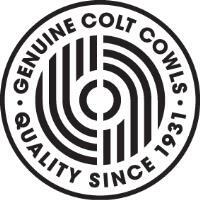 Colt Cowls...market leaders since 1931. OK, great tag line, but what does it actually mean? To answer this question you have to go back to the early 1930's when the Colt Universal Cowl was first launched under the statement 'Smoky Fires Definitely Cured (Underwritten money back guarantee)' To offer a guarantee of this nature you have to be fairly confident in the quality of your product and what it is able to do, but so it proved with the Colt Cowl rapidly appearing on chimneys all over the UK. The product worked, and importantly the product cured a real problem for people at the time as it still does today. Colt Cowls were effectively the only player in the market for several decades before similar looking chimney cowls were introduced by other manufacturers. It is estimated that over 3 million of the original type of Colt Cowls have been installed on homes. In the 1980's the Colt Top was designed in response to a huge increase in decorative fuel effect gas fires. The new regulations meant that the original Colt Cowl could no longer be used and this lead to the innovative new Colt Top All Purpose. This product like the Colt Cowl was again unique. This time it was the first omni directional chimney cowl for both solid fuel and gas/oil applictaion. Other innovative products have been brought out in the years since including the Rotorvent with its unique (at the time) feature by which the individual tabs at the base of the rotor blade were stitched into place. Most recently Colt Cowls were the first to get chimney cowls tested to the new regulation BSEN 16475-7:2016, and even more recently Colt Cowls are pleased to say we are currently the first and only chimney cowl company with Kitemarked products. The British Kitemark is a very well respected and established benchmark of quality recognised the world over and once again emphasises Colt Cowls drive towards better quality products. As with any market leader naturally designs and ideas are copied and recycled by other manufacturers over time. Although this can often be frustrating given the work that is done to make breakthroughs in quality and design imitation as they say is the sincerest form of flattery. Colt Cowls will always stick by the principles of trying to produce the best quality thats why we have our own quality mark.